Are You My Mother? by P.D. Eastman is not only a Random House I Can Read It All by Myself Beginner Book for beginning readers, but it is also enormously popular with younger children who love having the amusing story read to them again and again. 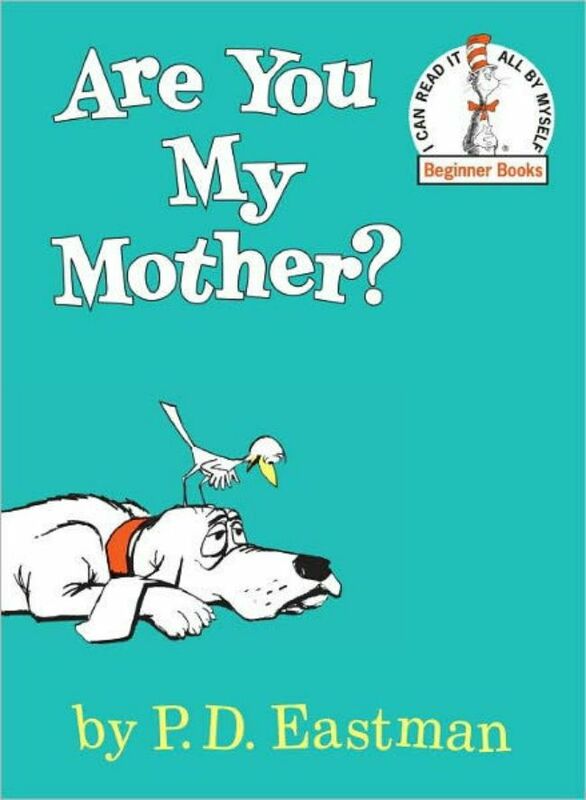 Both the illustrations and the words in Are You My Mother! stay strictly focused on one thing: a baby bird’s search for his mother. While a mother bird is away from her nest, the egg in the nest hatches. The baby bird's first words are, "Where is my mother?" The little bird jumps out of the nest, tumbles to the ground and begins looking for his mother. Since he doesn't know what his mother looks like, he begins by approaching different animals, and asking each of them, "Are you my mother?" He talks to a kitten, a hen, a cow, and a dog, but he can't find his mother. The baby bird thinks the red boat in the river or the big plane in the sky might be his mother, but they don't stop when he calls to them. Finally, he sees a big red steam shovel. The baby bird is so sure that the steam shovel is his mother that he eagerly hops into its shovel, only to be terrified when it gives a big snort and starts moving. To the little bird's surprise, the shovel rises higher and higher and he is deposited back into his very own nest. Not only that, but he has found his mother, who has just returned from searching for worms for him. What makes this simple story so effective are the humorous illustrations and a tale that features lots of repetition. The illustrations are done in a limited color palette: muted brown with touches of yellow and red. The cartoon-like illustrations focus on the baby bird and his search, with no extraneous details. 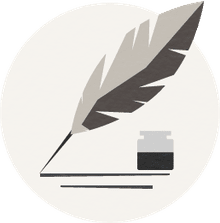 The brevity of the story, the controlled vocabulary, and simple sentence structure are at the right level for a beginning reader. Most of the pages in the 64-page book have just one to four brief sentences accompanying the illustrations. The repetition of words and phrases and the clues provided by the illustrations also support the beginning reader. P.D. Eastman worked closed with Dr. Seuss (Theodor Geisel) on a number of projects and people have sometimes believed that Dr. Seuss and P.D. Eastman are the same man, which is not true. Philip Dey Eastman was an author, illustrator, and filmmaker. After graduating from Amherst college in 1933, he studied at the National Academy of Design. Eastman worked in the film industry for a number of companies, including Walt Disney and Warner Brothers. Under the name P.D. Eastman, he created a number of beginner books that have remained popular over the years. Some of his beginner books include: Go, Dog Go!, The Best Nest, Big Dog . . . Little Dog, Flap Your Wings and Sam and the Firefly. The Lion and the Mouse by Jerry Pinkney, the 2010 Randolph Caldecott Medal winner for picture book illustration, is a wordless picture book. You and your child will enjoy "reading" the pictures and telling the story together. Dr. Seuss picture books and beginning reader books are always a treat and the Mercy Watson series for beginning readers by Kate DiCamillo is full of fun.